Choosing a flagship luxury sedan to park in your garage is an enviable dilemma. There's pretty much no losing when your options include exotic names and alphanumeric soup like A8, Panamera and S-Class. 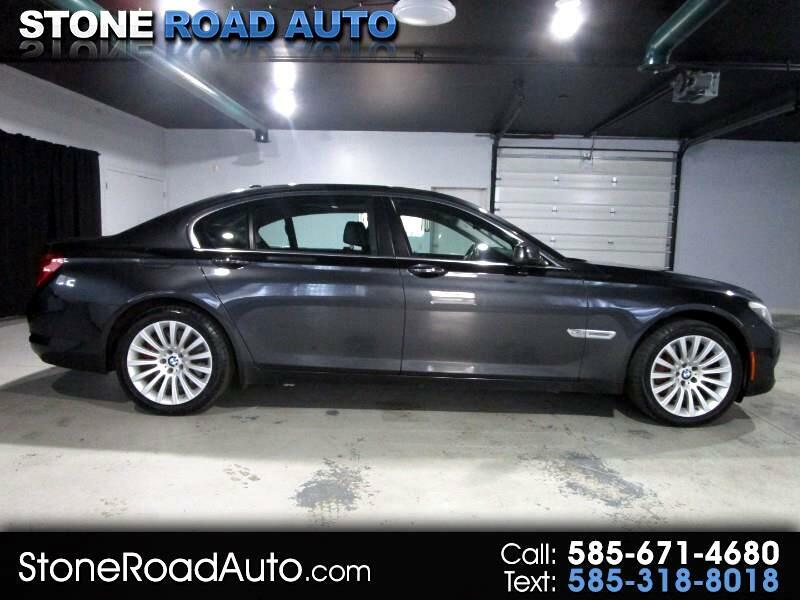 Add to this list the 2012 BMW 7 Series, one of the sportiest and most popular luxury cruisers that blends a dynamic driving experience with practical, everyday utility. For 2012, the 7 Series again offers a turbocharged inline-6 engine in the 740i and 740Li. Up until last year an inline-6 hadn't been seen in a 7 Series model in two decades. And although it's tempting to dismiss it as a pokey model intended as dealership traffic bait, the 740i with its 315-horsepower twin-turbo inline-6 is as quick from zero to 60 mph (5.8 seconds) as the V8-powered Lexus LS 460 and nearly matches the power of the V8 7 Series from 10 years ago. The 7 Series is also one of the most engaging cars in the class to drive. Equipped with optional active steering, the 7 Series impresses with its ability to sweep around tight corners. Even in standard rear-wheel-drive form, it twists sharper and surer than many midsize luxury sedans. The Driving Dynamics Control (DDC) system even allows the driver to choose among four settings (including transmission response and suspension calibration) to satisfy a greater breadth of enthusiasts. We've found it hard to dial in that just-right combination of all the adjustable DDC attributes however, and we wonder if simpler would be better. Despite its mastery, it's hard to proclaim the 2012 BMW 7 Series better or worse than other all-stars like the Audi A8, Jaguar XJ, Mercedes-Benz S-Class or Porsche Panamera. It's simply different. Depending on what you intend to spend and how much space you want, we'd suggest looking at them all. And why not? There's no way to lose.